Moya is a new dynamic building material that harvests small amounts of wind energy, in many possible locations. The printed, semi-transparent sheets are light, low cost, versatile and scalable. Proportions and density of filaments can be optimised based on wind energy analysis on buildings, or challenged by architect’s designs using it as a dynamic façade. Moya can wrap around buildings, coat windows, line bridges or be hidden in structures. 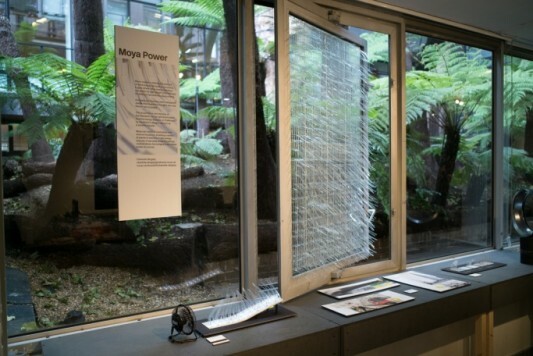 Moya Power uses a number of finger-like filaments which are moved by passing currents of air - with the movement harnessed to generate electricity. The filaments can be optimized based on wind energy analysis for maximum efficiency, or adapted to architect's designs to be used as a dynamic building façade. 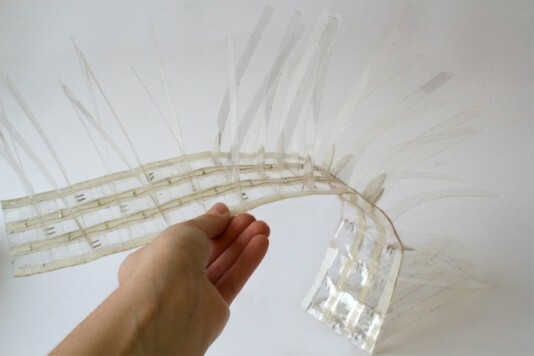 The end result is a low cost flexible material that can wrap around buildings, coat windows, line bridges or be hidden in structures unlocking their potential as energy generation site. As wind moves each filament on a sheet; the strain energy caused by the movement is converted into electrical energy. Many tests were conducted in order to determine the dimensions and proportions of an individual filament. An important factor when considering the functional design of a single element was how it would be easily mass-produced in a sheeting process in order to keep costs to a minimum. There is a compromise between complex shapes that may catch the wind more effectively, when compared to simplified shapes that will be more efficient to mass produce.